Items marked IN STOCK are available and ready for shipping. You can add them to your cart and place your order. Items marked PREVIEW are advertisements made by manufacturers but are not yet available. The dates of availability are indicated on the product sheets. They are for informational purposes and may vary according to the wishes of the manufacturers. 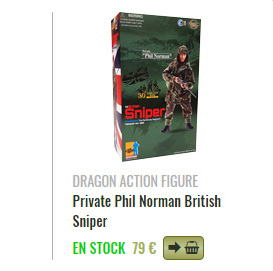 The final prices are only communicated once the figurine is In Stock. Items marked SOLD OUT are no longer available. We never know in advance if sold out items will be available again someday. The best thing to do is to create a notification, to be patient and optimistic. When will a Preview item be available? We strive to update the product sheets as frequently as possible. All information we have in our possession is indicated on our website. If the information is not there, it is because we have no more information. You can also consult the arrival section of our site. This gives you an overview of the items that will be available in the next 45 days. What will be the price of an article in Preview? We indicate the prices of items once we know all our costs (transport, purchase price ...); it is for this reason that we cannot communicate a sales price as soon as the Preview is announced by the manufacturer. Sometimes we have to wait a year. An item is sold out, will you receive it again? When a product is sold out we try to restock with the manufacturer. Unfortunately some items are limited series, highly requested and for these reasons we are not able to have new ones. It is very important that you leave your email on the sheet of the item concerned to receive an automatic notification if by chance we would receive others. How to be notified when an item in Preview is available? It is imperative to enter your email address on the form of an article to be notified of its availability. When we receive the items in our warehouse, we add the quantity available for sale and the notification is automatically sent; it is done in the hours following the arrival in stock. Everything is done automatically because there are several dozen items in each shipment. Then we apply the extremely fair but terribly cruel rule of first-come, first-served. How to be notified when a sold out item is available again? As soon as a product is sold out, we try to order it again. Unfortunately some are limited series and we cannot restock them. It is imperative to enter your email address on the sheet of an article to be notified of its possible restocking. Once the product is back in stock, you will receive an automatic notification. 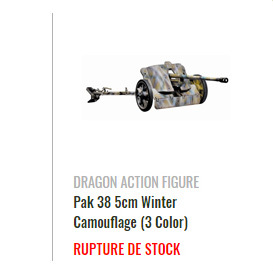 How to be notified when it is the last piece in stock? 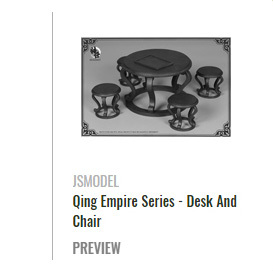 Please enter your email on the product sheet via "Notify me when these are the last pieces". When the amount of available items is low you will receive an email notification. Our system checks available quantities several times a day. Beware; several people can receive the same notification so it can be a bit of a race to get the last pieces. We apply the extremely fair but terribly cruel rule of first-come, first-served. How to be notified when an item is in spare parts? Please enter your email address in the notification "Be notified of the unboxing of this product". We unbox a lot of items but please be aware, we do not release all products. Some products are all sold before we have the opportunity to unbox, others do not contain enough parts, others are too fragile or too complex to unbox. Is it possible to modify an order in progress? If you have an order in progress in which you want to add items, it is imperative to contact us as soon as possible. The order is considered firm and final once it has been paid and cannot be changed once the shipment has been sent. Do you make discounts or promotions? On certain occasions, we may offer discounted items. In order to be notified of all Machinegun events, we invite you to subscribe to the Newsletter, to follow us on social media and to regularly consult our site. Add the items you want to your cart. A window opens, click on Validate My Order. Follow the instructions that are asked of you until the finalization of your order. You must create a customer account if you do not have one. Your customer account basically contains your address so that we can deliver to you. It is very important to add your mobile phone when placing your order. Almost all carriers now require it to avoid any mistakes in delivery. You must choose the mode of transportation and the method of payment. Your order is confirmed once your payment has been received. Machinegun reserves the right to cancel or refuse any order from a customer with whom there is a dispute over the payment of a previous order or which would present to him any form of risk. Why is my payment to La Reine de Pierre? What are your means of delivery to metropolitan France? Can I strengthen the packaging of my parcel? What happens if I am not present when being delivered? We will send you tracking numbers by email so you can determine where your parcel is. Depending on your delivery area, the carrier can either present himself at the same address or drop the parcel at a Post Office or a Relay Point. If none of the previous solutions have been found, the parcel is returned to us. You must then contact us to define a new delivery that will be your responsibility. Beware; the costs of returns invoiced by the carriers are also the responsibility of the customer. We are constantly adding content to our website, so it is impossible for us to provide a paper catalog. Do you have more details about your company?